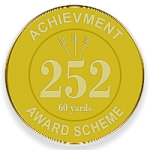 What is the 252 awards scheme? The “252” Awards is a scheme to encourage accuracy and good grouping at all distances. 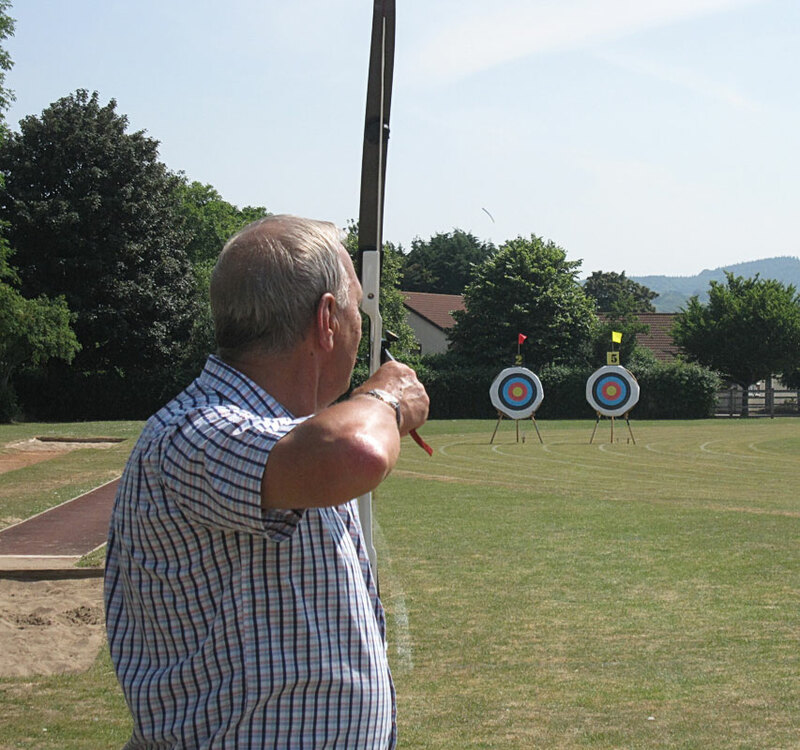 This is a challenge for all members of the club; both novices and experienced archers. 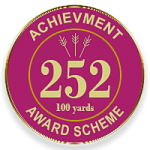 The aim is to score 252 points or more on a 122 cm target face at set imperial distances. The attempt for the 252 score must be the first shoot of the day and should be brought to the attention of the Record Officer before the start. A total of 36 arrows for recurve bows, 30 arrows for compound bows or 72 arrows for longbows or other barebow’s are to be shot at the specified distance using a 122 cm target face and GNAS five zone scoring. Six sighter arrows are permitted which will not count towards the final score. 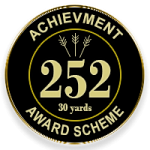 the 252 award may be awarded for that distance on application to the records officer. 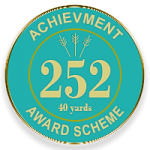 There is no restriction on the order of distances in which the awards are obtained (i.e. a 30 yd award may be obtained before a shorter distance is attempted, which may then be obtained at a later date). You can only claim one 252 score per day. It is the responsibility of the archer concerned to make a claim on a standard score sheet, witnessed by at least one other club archer, who will record the scores, then sign and print their name on completion as confirmation. The certificate will be issued by the club for each distance obtained free of charge. The quiver badges are available to purchase at a cost of £2 per badge and are issued by the records officer. results. You are out of google’s top ten, so you can’t expect big traffic.